3. 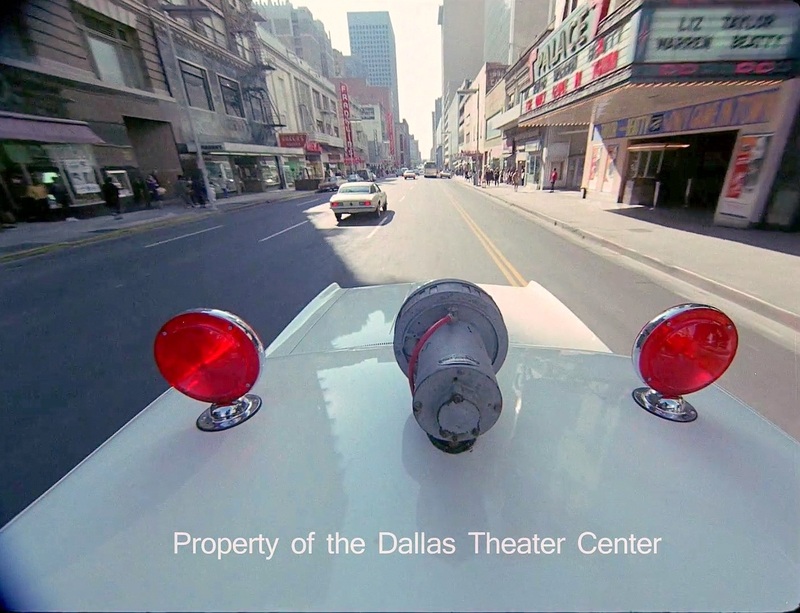 Elm Street — the Capri (showing the X-rated Italian film The Libertine) and the Tower (showing Jenny, with Marlo Thomas and Alan Alda). Same view today is here. 4. Elm and St. Paul. Same view today is here. 5. 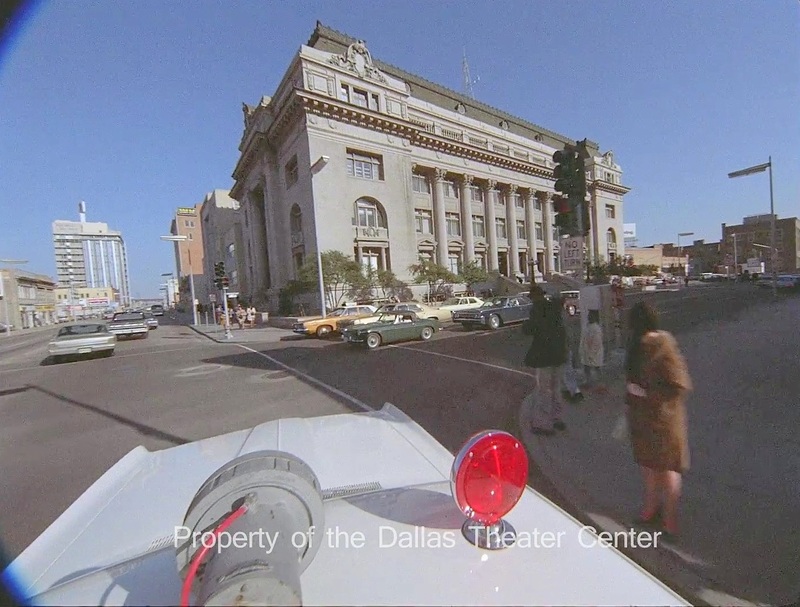 Elm Street, just past Ervay — the Palace (showing The Only Game in Town with “Liz” Taylor and Warren Beatty). Same view today is here. 6. 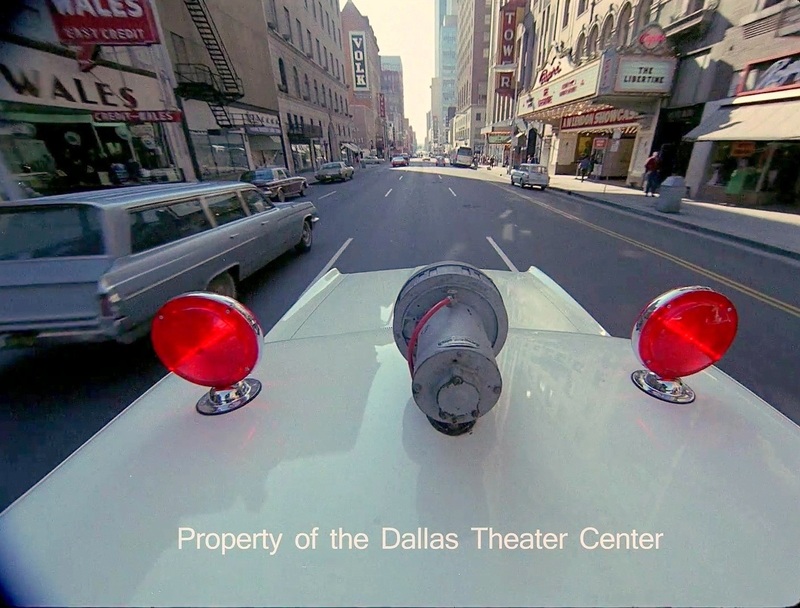 Main Street, heading east toward Griffin — One Main Place on the left, a blobby Pegasus straight ahead. Same view today is here. 7. 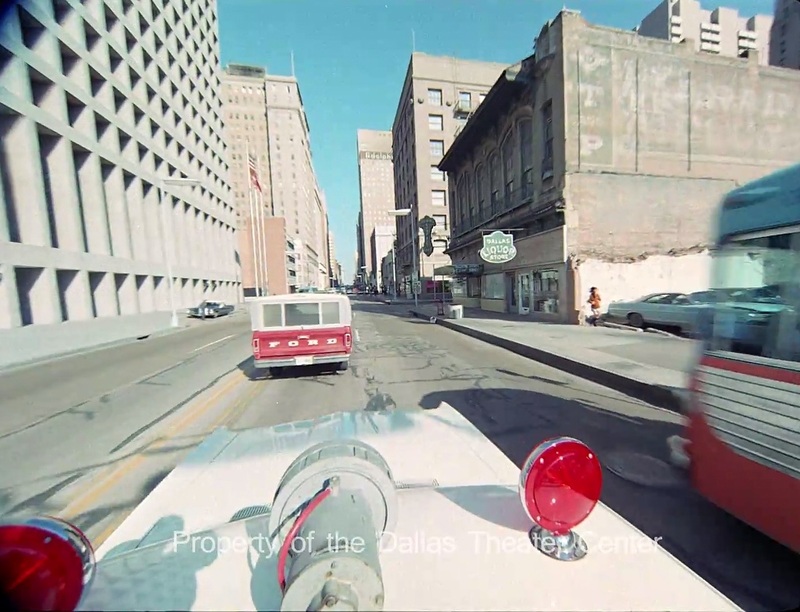 Main Street, a little further east — that fantastic old building with the T & P ghost sign and home of the wonderfully seedy-looking Dallas Liquor Store (1112 Main) is now the pretty little Belo Garden. Same view today is here. 8. Main, approaching Akard. (The Eatwell Cafe was at 1404 Main.) Same view today is here. 10. 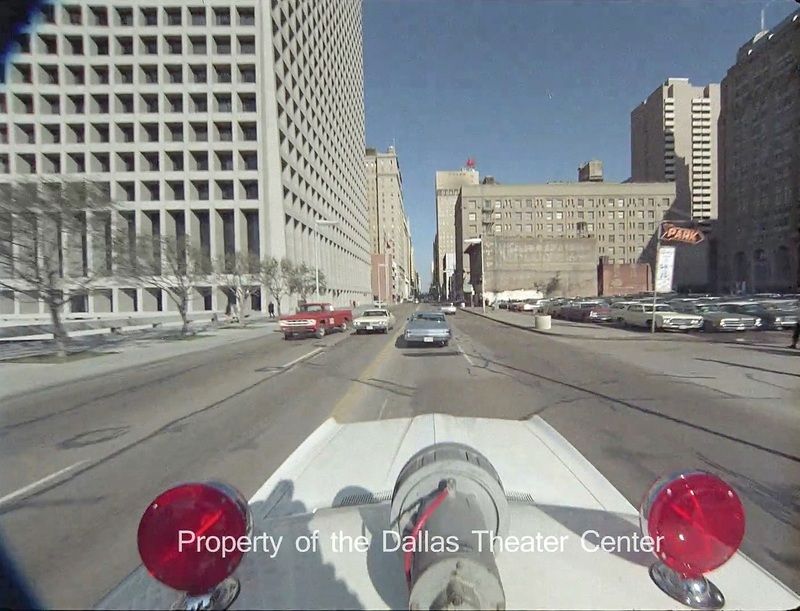 Main and Harwood, turning right onto Harwood. Same view today is here. 11. South Harwood and Jackson, heading south — First Presbyterian Church is straight ahead. Same view today is here. 12. 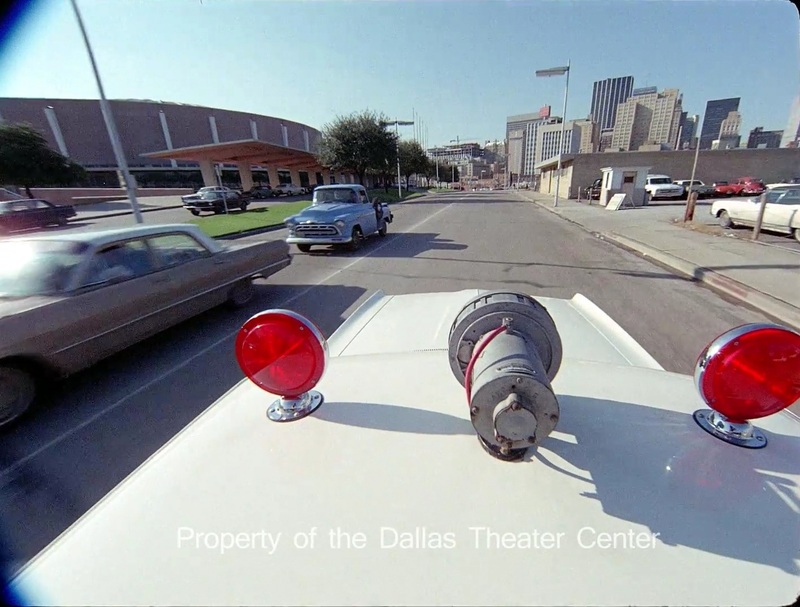 South Akard heading north — Dallas Convention Center is on the left. Same view today is here. 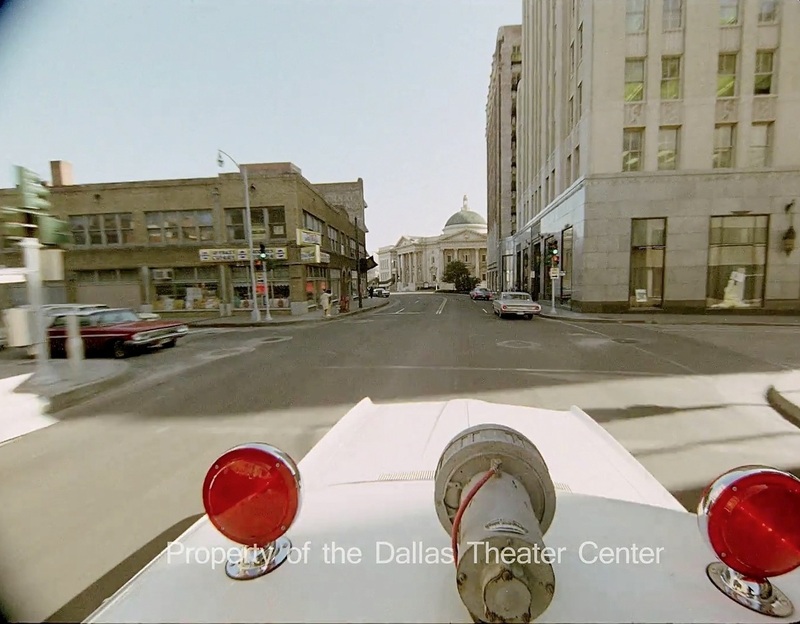 Screenshots from the video “DTC Downtown Dallas” on YouTube, here; from the Dallas Theater Center Collection, held at Southern Methodist University. Many thanks, as always, to curator Jeremy Spracklen. 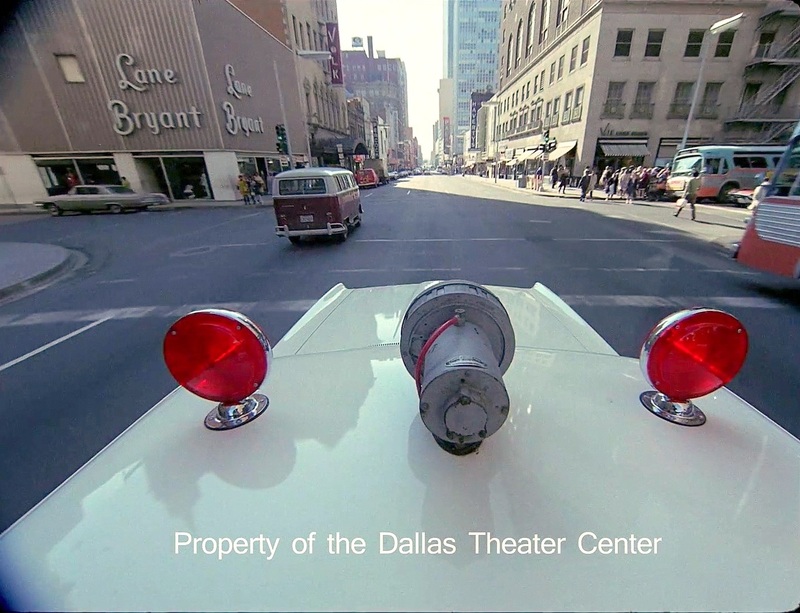 More 35mm color footage from this Dallas Theater Center project will be released in the near future. 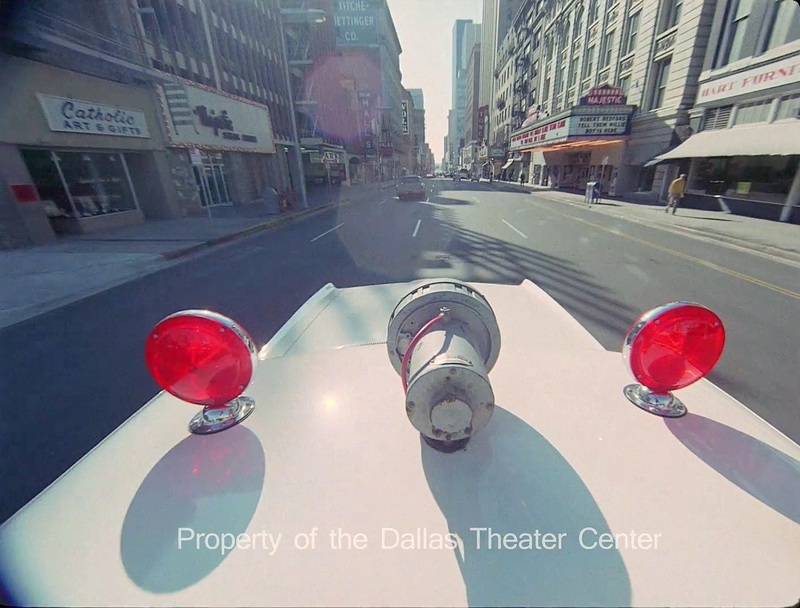 Keep up to date on these films as well as other fantastic archival DFW footage held by SMU by following @SMUJonesFilm on Twitter or SMUJonesFilm on Facebook. 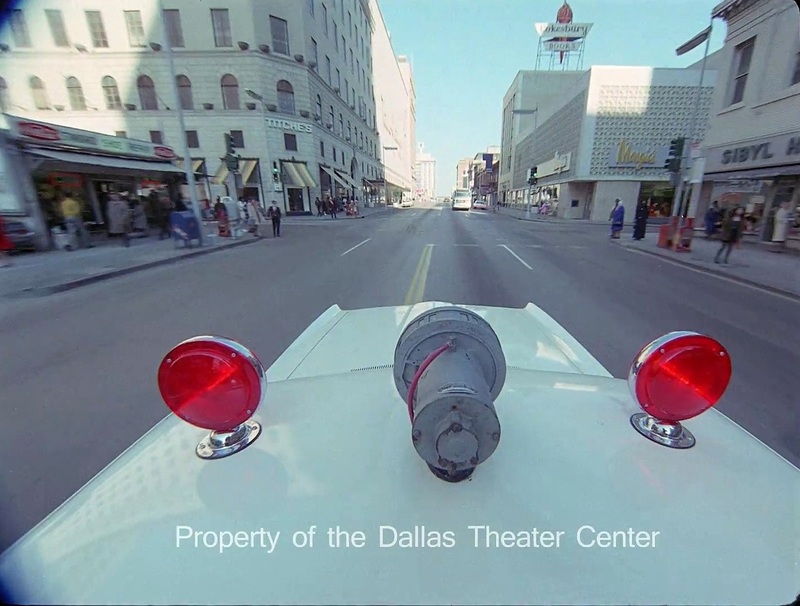 UPDATE: Watch a short clip from the DTC Collection showing a colorful parade of pedestrians at Main and Ervay, as well as a nice shot of the old Jefferson Hotel — all captured on 35mm color film in 1970 — here. 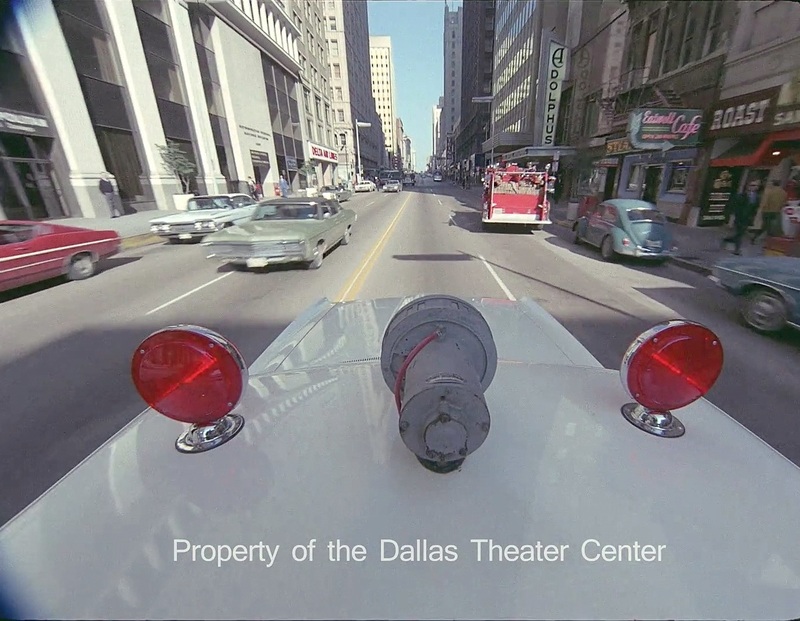 Probably a funeral home ambulance before Dallas had Fire Department ambulances a few years later. Paula, really love this, great post! 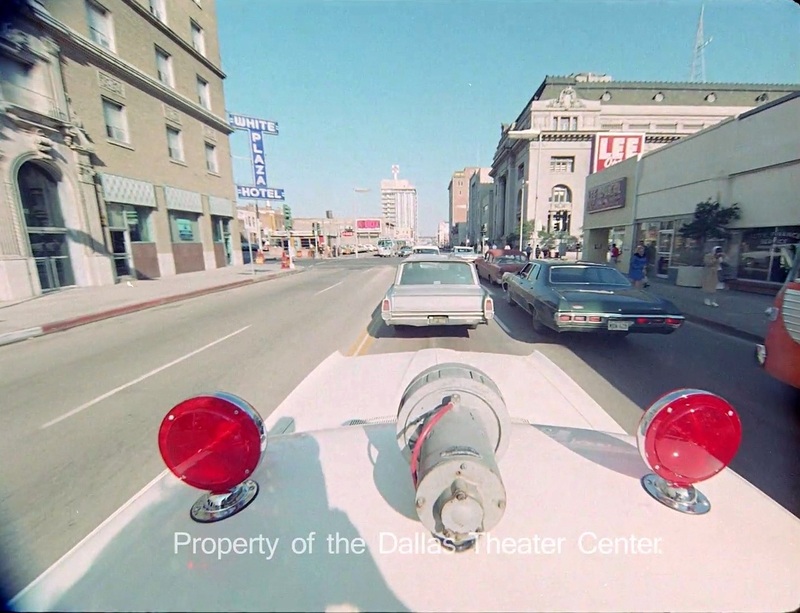 Wow, this makes me miss how downtown was!!! Brockles Restaurant! We always had a jar of Brockles Special Dressing in our fridge. Thanks.